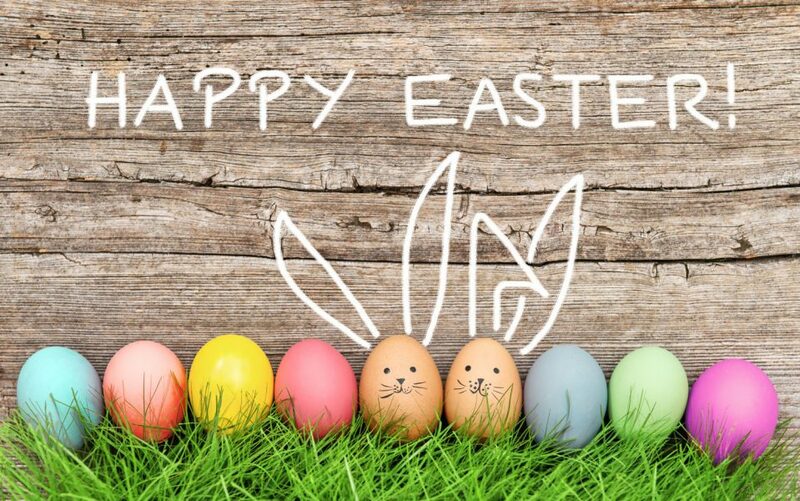 Easter is a favourite holiday for many, not only because of the religious significance it holds but also because it provides many of us with a long weekend off work or school to enjoy with family and friends. 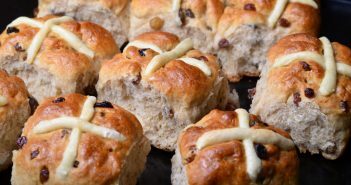 To help you make the most of your Easter celebrations here is the “When Is” guide to this important religious festival. 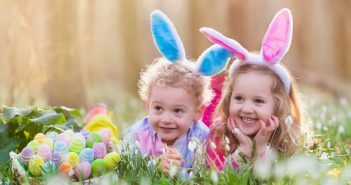 As well as a run down of the customs and traditions such as Easter egg hunts, egg rolling and decorating that are all easy activities to try at home. We also provide a handy reminder of when the date of Easter falls each year. Today, Easter, Pascha or Resurrection Day is the Christian religious feast that celebrates the resurrection of Jesus Christ, which is believed to have happened on the third day after his crucifixion. 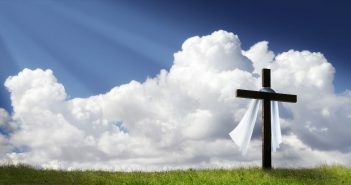 The death of Jesus Christ is commemorated on Good Friday, which is always the Friday before Easter Sunday. Whilst celebrated as a Christian festival today, Easter owes its roots and many of its customs to Paganism. It's generally believed that “Easter” was a pagan festival dating back to Saxon times that celebrated the Goddess of Spring “Eastre”. However, the origin of this pagan goddess can be traced even further back to the time of the Tower of Babel. According to the Book of Genesis after the great flood, a great-grandson of Noah called Nimrod, a political and religious leader, played a significant part in turning people against God. Not only was he a prominent and persuasive leader, but he was also responsible for building major cities, including Babel, Asshur, Nineveh and Calah. Many of which earned a reputation for as places where dark practices and perversions commonly took place. When Nimrod died, his wife “Queen Ishatar” (Easter) deified him as the Sun-god. When she later bore him an illegitimate son, Tammuz, she claimed that he had been supernaturally conceived, that he was Nimrod reborn and the saviour promised by God. These claims led to the worshipping of not only Tammuz but also to his mother who became known as the Mother Goddess. Soon her legend extended to other lands where she also became known as as Eostre, Astarte, Ostera and Eastre. Worship of the Mother Goddess was tied to fertility and Spring due to the fable that Tammuz was killed by a wild boar and entered the underworld. Due to his mother's weeping he mystically revived “in the springing forth of the vegetation in Spring”. Festival's celebrating Tammuz's resurrection soon appeared around the time of the beginning of Spring. This new religion created by Nimrod and Ishatar defied the existence of God and brought about many dark practices at odds with Christian thinking. This eventually led God to punish those following this new religion in the City of Babel, where he confused the languages to stop the spread of these new idolatrous ideas. Good question. It can get quite confusing trying to track when this holiday falls especially when you're trying to set other plans around it. Easter is a moveable feast which means the date of Easter Sunday falls on a different day each year. The method that we now use to establish Easter was originally set in 325 AD by the Council of Nicea. They determined that Easter would fall on the first Sunday following the Paschal Full Moon occurring on or after the Spring Equinox (21 March). The date of Easter changes because it is set on this ecclesiastical lunar calendar and typically falls between 22 March and 25 April in Western Christianity. In Eastern Orthodox Christianity the date of Easter can fall between 3 April to 10 May. Easter is an important season in the church year by which other dates in the religious calendar are set. So, when the date of Easter Sunday changes so do others that relate to this date. 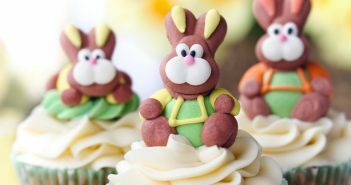 As well as being a moveable feast that follows the cycle of the moon, Easter Sunday also falls on different dates depending on whether you follow Western or Easter (Orthodox) Christianity. Read our article on how Easter is determined to find out more. The following table of Easter dates will help you remember when to book your holiday, or organise your family get together. The Easter season, also known as Eastertide, lasts for fifty days from Easter to Pentecost and signals the end of Lent, a forty day period of fasting, prayer and penitence. Easter is an important season in the church year by which other dates in the religious calendar are set such as Ash Wednesday, Lent, Palm Sunday and Good Friday. You can find out more about when these dates fall for both Western and Eastern Christianity here.